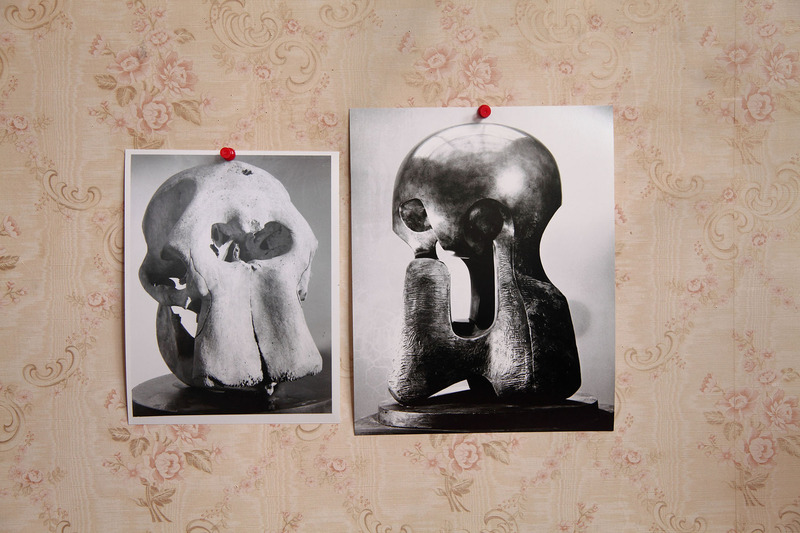 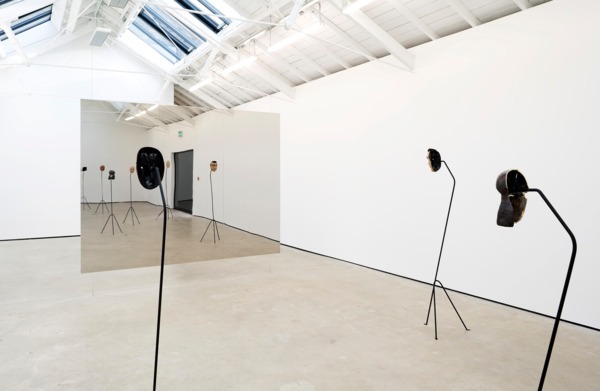 The Modern Institute is pleased to present Simon Starling’s exhibition Project for a Masquerade (Hiroshima): The Mirror Room. 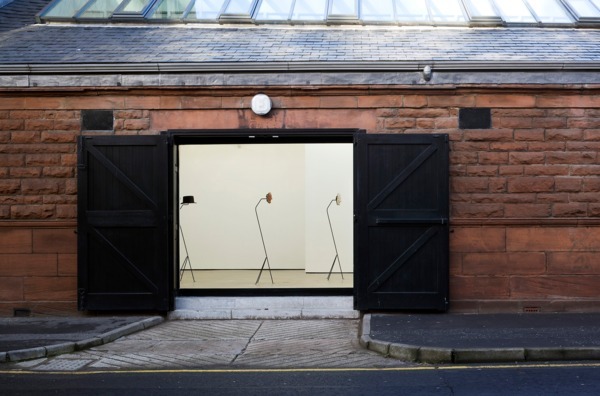 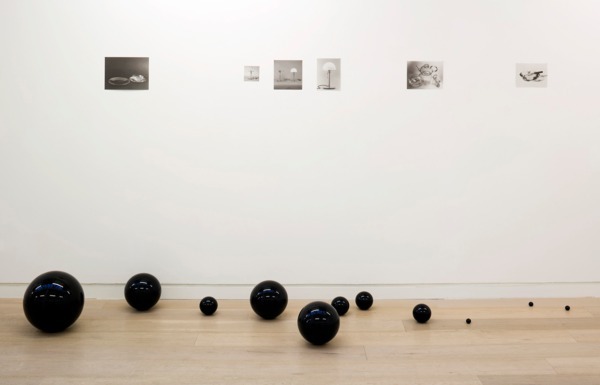 This is the first part of a two-part exhibition to be realized at The Modern Institute, Glasgow and Hiroshima City Museum, where Simon will exhibit in January 2011. 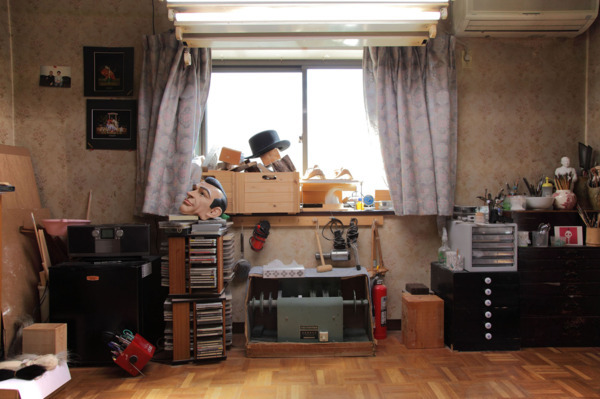 The Mirror Room of the title refers to the dressing room in a traditional Japanese Noh theatre where the actors fit their masks and are ritually possessed by the characters they will perform on the adjacent stage. 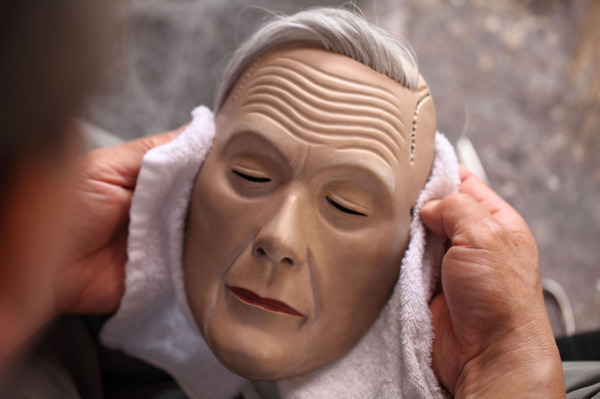 It is a space in which identities are traded, in which ghosts assume human form , men are transformed into women, the young become old, and the old young. 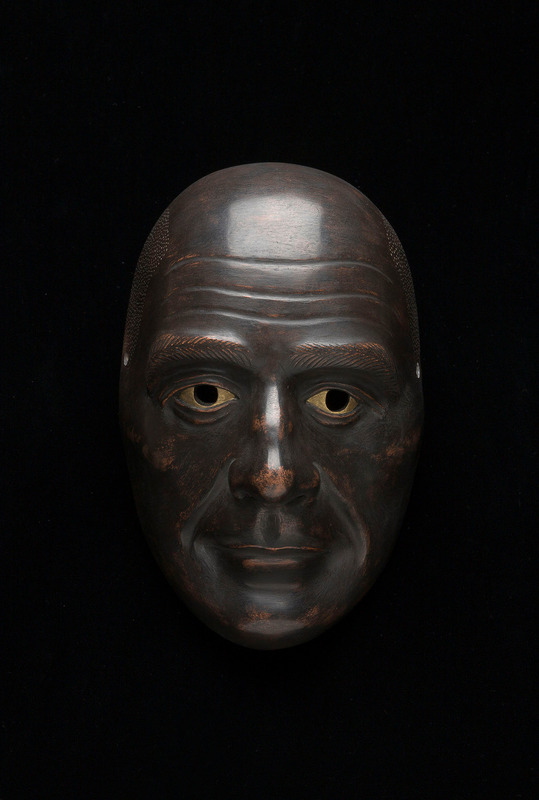 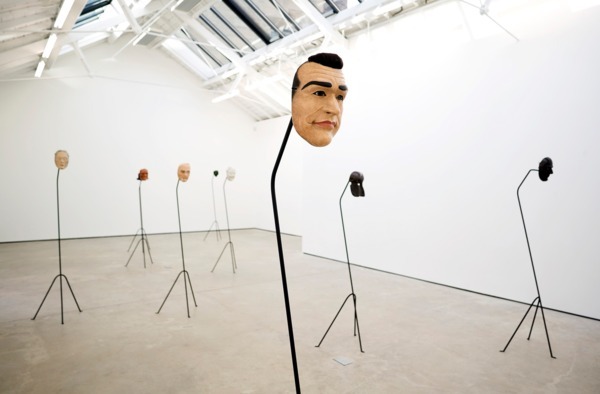 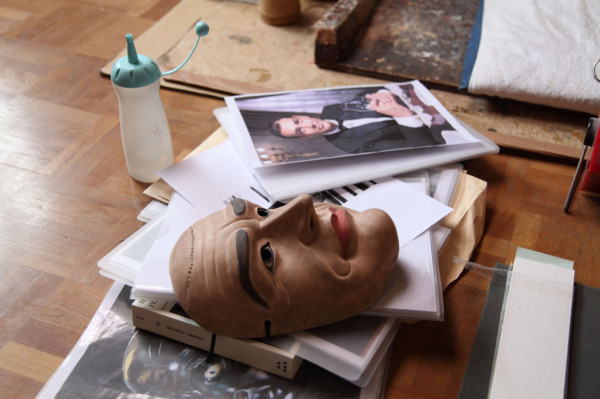 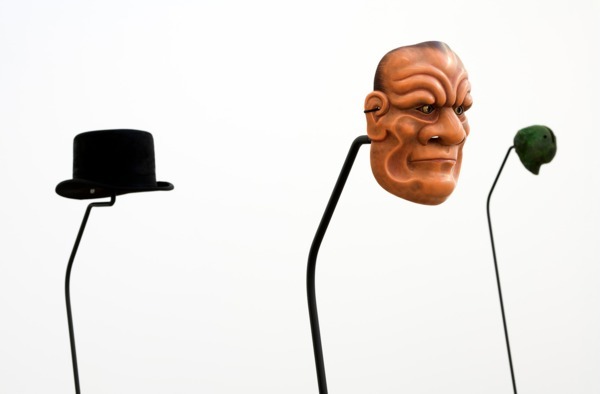 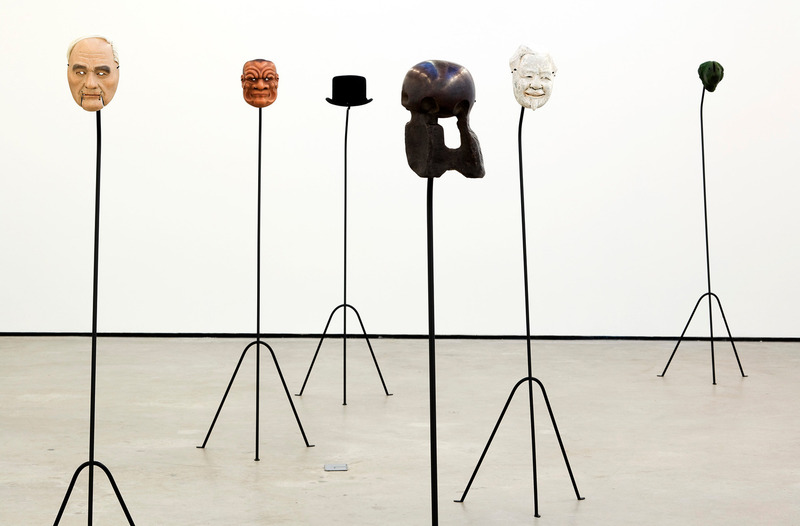 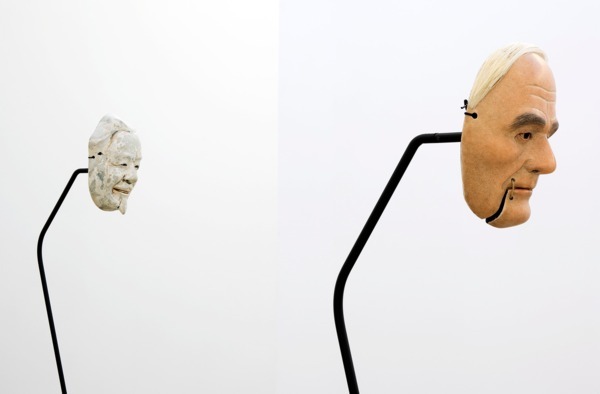 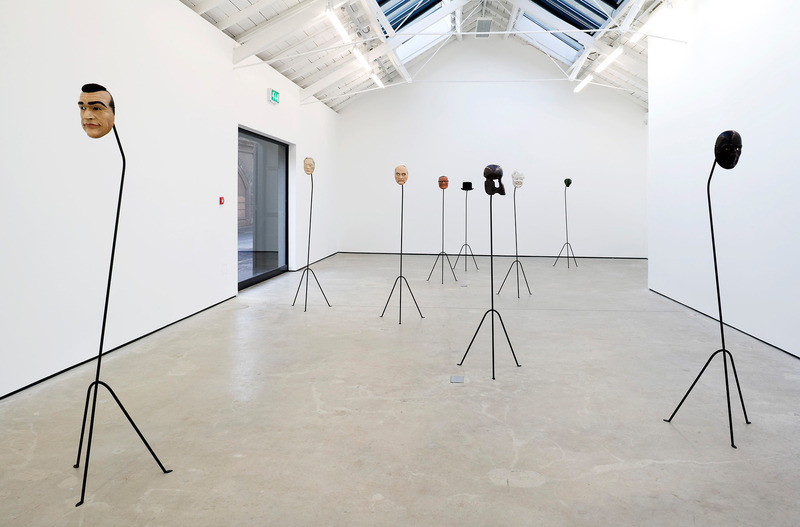 The exhibition at The Modern Institute presents nine characters in the form of six carved wooden masks, two cast bronze masks and a hat*. 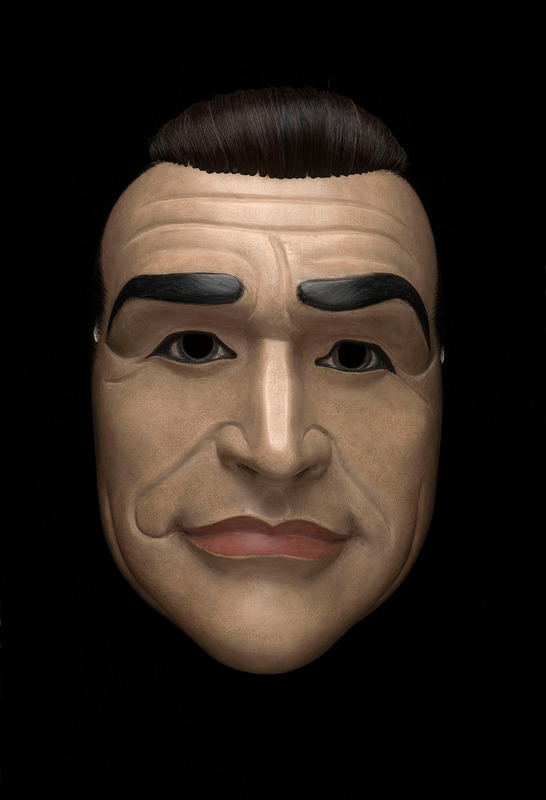 This cast of characters has been assembled for the proposed performance of a 16th century Noh play, Eboshi-ori, the story of a young noble boy who, with the help of a hat maker, disguises himself to escape enforced exile and begin a new life in the east of Japan. When populated by the assembled cast, this tale of personal reinvention, serves to mirror the complex Cold War saga that surrounds the double life of Henry Moore’s multifaceted sculpture Atom Piece (1963-65). 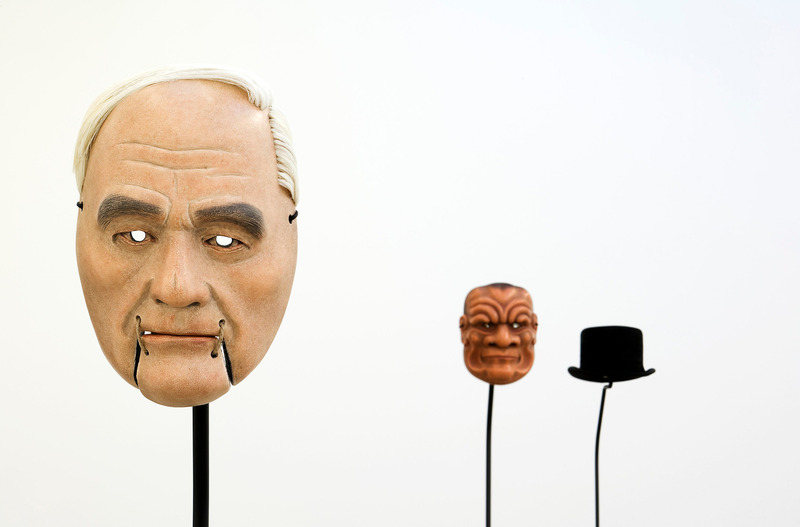 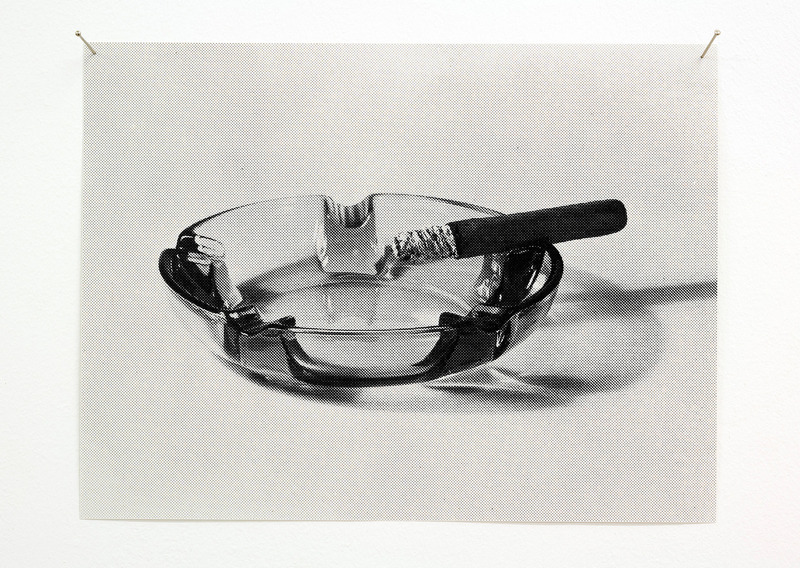 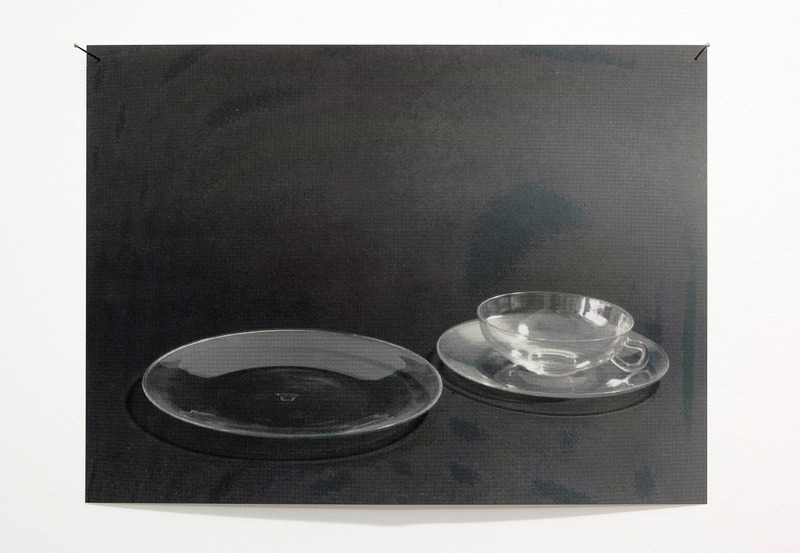 In the upstairs gallery there are new (300:1, After Willhelm Wagenfeld, 2010) as well as existing works. 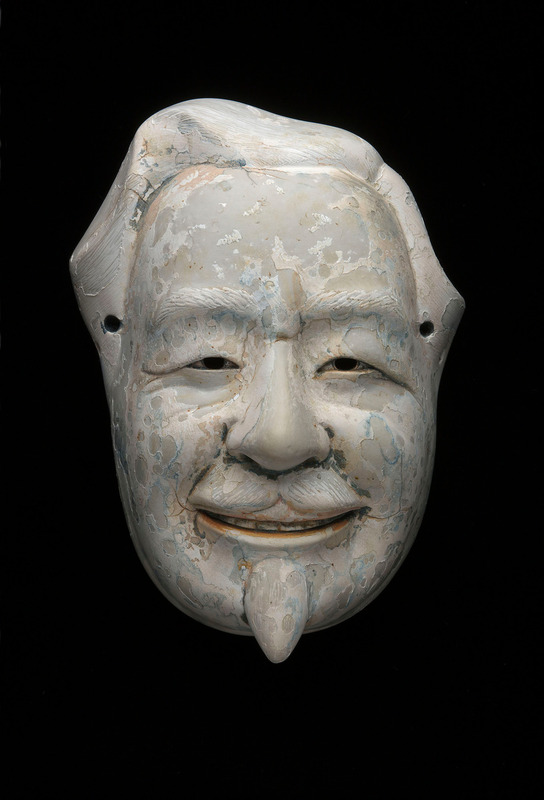 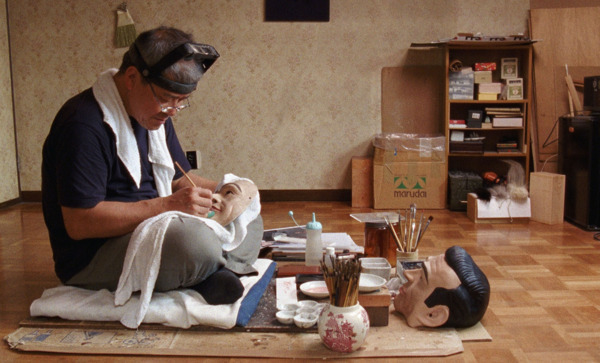 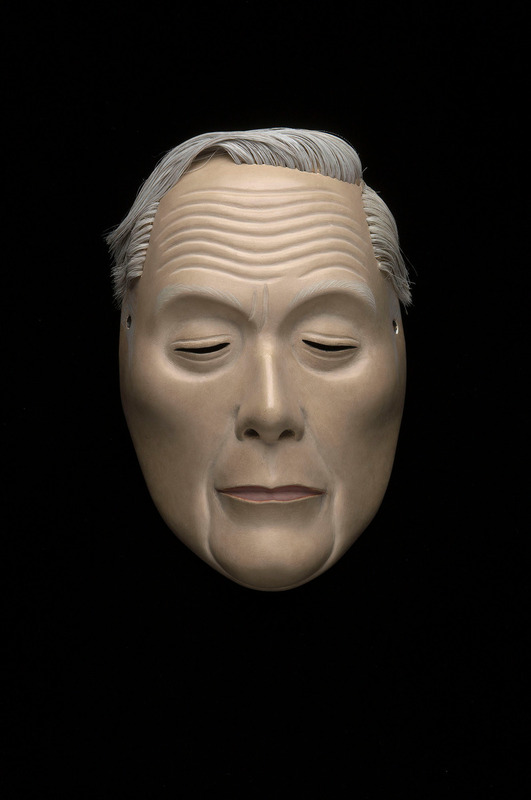 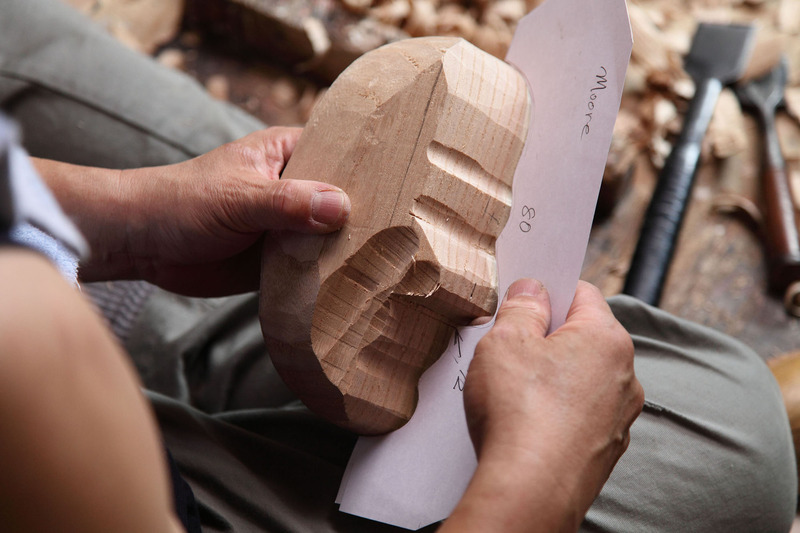 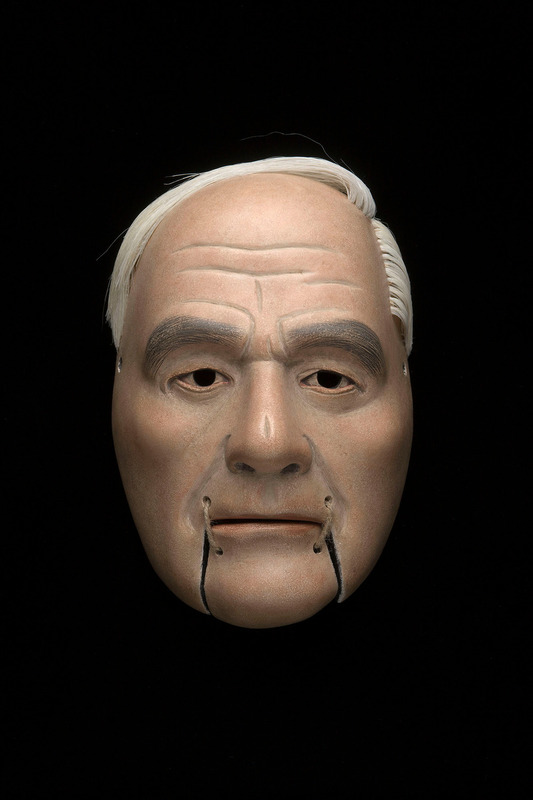 *Note: the carved wooden masks where made by Yasuo Miichi, a master mask maker from Osaka, Japan. 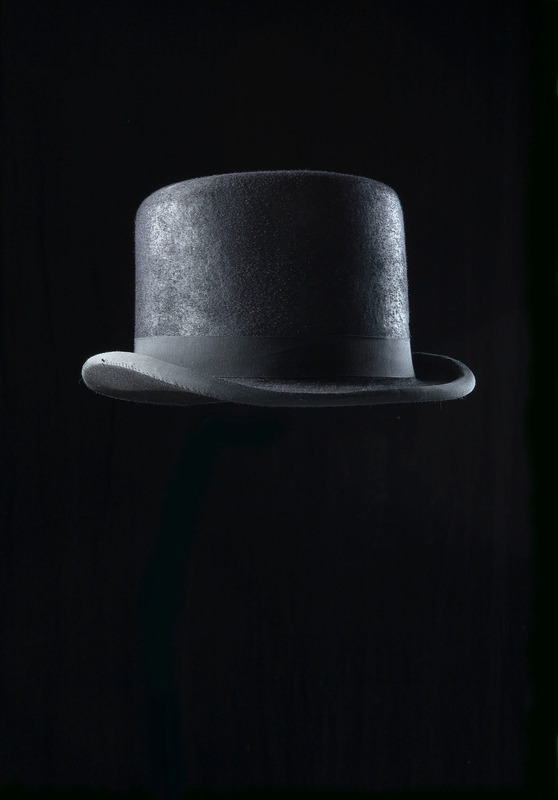 The bowler hat or coke is an exact replica of one made in 1964 by Lock and Company, London, for the actor Harold Sakata.